With growing numbers of chronically ill patients surviving longer and receiving novel medical and surgical treatments, emergency departments are increasingly the venue for associated acute presentations. How can emergency physicians respond to these challenging and emerging conditions? This book focuses on the unusual and complex disease presentations not covered in detail in the standard textbooks, helping you manage patients with conditions such as congenital heart disease, cystic fibrosis, morbid obesity, intellectual disability and intestinal failure. Not only does this book provide guidance on evaluation and diagnosis, but it also addresses the practical issues of acute management and continuing referral. 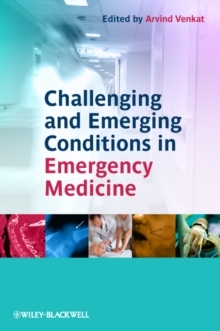 The individual chapters are written by high profile emergency physicians, in conjunction with appropriate specialists, and include authoritative evidence to back up the clinical information.